Donations to Chef's Table Charities being organized into blessing boxes in Mary Bass' home. Photo courtesy of Chef's Table Charities. Friday, January 11 marked the first day that federal employees went without a paycheck since the government shutdown on December 22. In Galveston County, tens of thousands of employees at branches of the IRS, TSA, Johnson Space Center, and the Coast Guard are impacted. To help those employees and their families, one chef is going the extra mile by leading an effort to organize care boxes. 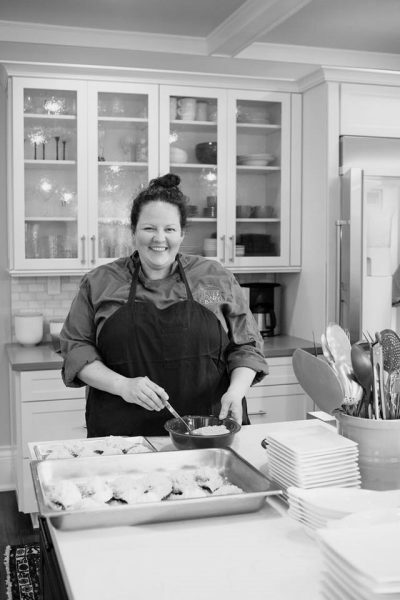 Chef Mary Bass is the founder of Chef’s Table Charities, a bay area organization whose mission is to serve students, teachers, and families in times of need. Photo courtesy of Mary Bass. The organization’s focus is within Galveston County, with the bulk of current efforts taking place at Bass’ home. “Right now, we’re looking for off-site storage with round-the-clock access because my house can only fit so many supplies,” Bass said. 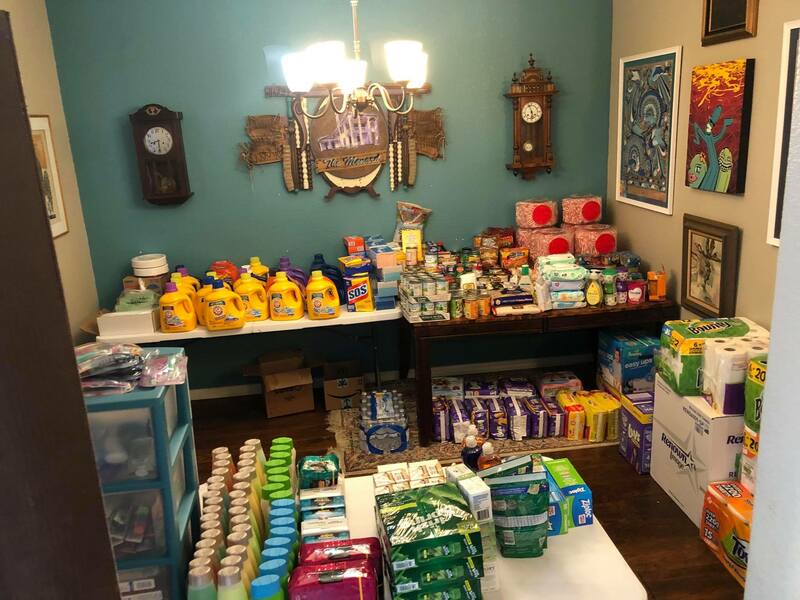 Items being collected for the care boxes include baby formula and food, snacks for kids, diapers, toiletries, toilet paper, laundry detergent, dish soap, cleaning supplies, trash bags, feminine hygiene products and canned goods. Many of the furloughed workers may be eligible for the Supplemental Nutrition Assistance Program (SNAP) program which allows households to buy food but doesn’t cover other household essentials. Chef’s Table Charities is bridging that gap by providing for those essential paper goods, cleaning supplies and medical items. If off-site storage is secured, Chef’s Table Charities will also need volunteers to help fill the care boxes. The organization’s Facebook page will have details about volunteering. Chef’s Table Charities has multiple ways people can help them to provide for furloughed federal workers. Monetary donations can be made via PayPal or Venmo to [email protected]. They also have several drop-off sites where people take donated items. A list of those locations is at the end of this article. Bass also arranged for area restaurants to donate a portion of sales to Chef’s Table Charities. Little Bella Mia located at 2471 Gulf Freeway in League City will be donating 10 percent of their sales on Wednesday, January 23. Subsequent events are being organized and details will be posted on the organization’s Facebook page, including sign-up sheets for future volunteer opportunities. The government may be at a standstill, but that isn’t stopping Galveston and Houston area residents and one big-hearted chef from working to provide for people. If and when federal employees are able to go back to work and receive full pay, Chef’s Table Charities will continue to serve the community in other capacities and be one of many examples of the enduring hospitality and kindness found in the restaurant industry.